Dogfish Head: Squall IPA, Ep. 160 | Beer America TV - Craft Beer in Motion! 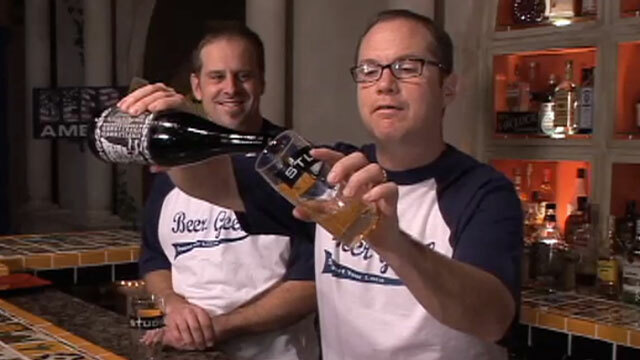 This week Beer America TV tackles yet one more beer from Dogfish Head. Squall IPA is basically a 100% bottle conditioned version of their 90 Minute IPA thats dry hopped. Another excellent IPA which is by no means a surprise coming from Dogfish! The good news is, this beer should cellar well, the bad news is, they are no longer making it, so if you find it – keep it for a while. Wow, I can’t believe you just did a podcast tasting of DFH Squall. You taste a lot of beers that I can not get here in Connecticut but tasting one that can not be found anywhere really hurts. This was on my top 5 list and I was looking forward to another season of get togethers where Squall would fill our glasses. I was very disappointed to learn that Sam decided to retire it and bring out a new 75 minute in it’s place. I’m hoping that the 75 minute fills the void. And if you find more Squall hidden away in a dark corner of someones cellar, feel free to mail me a bottle. Hey guys, keep up the good work. I enjoy the podcasts. I envy you! Why would you do this to us? Squall’s probably the best beer Sam ever made, and then he stopped.